Powerful backend with a great user experience interface. Use it to edit and managing your website. This is the first place you get when you log in to your website.The Dashboard is where you get information about what's going on with your site. 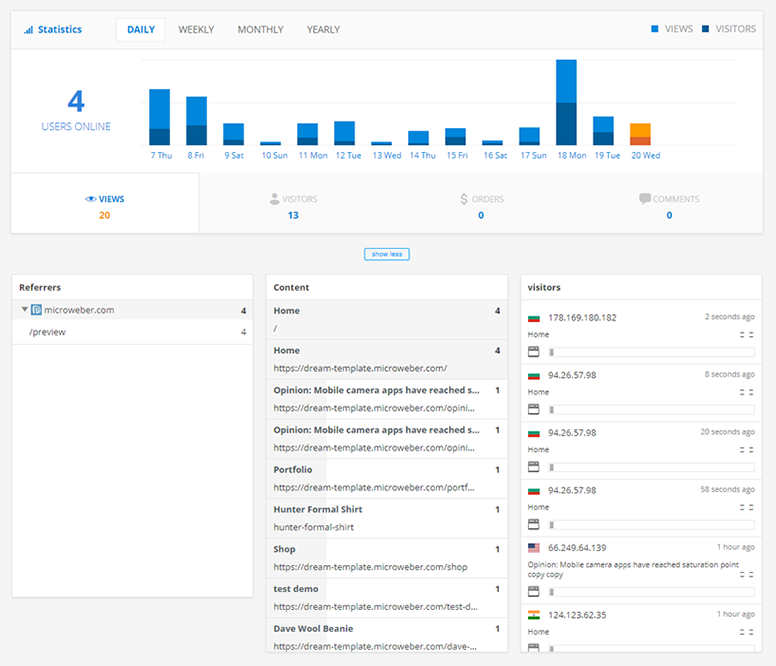 From the Dashboard, you monitor your site's resilience both in real time and over the course of a day, week, month, year. 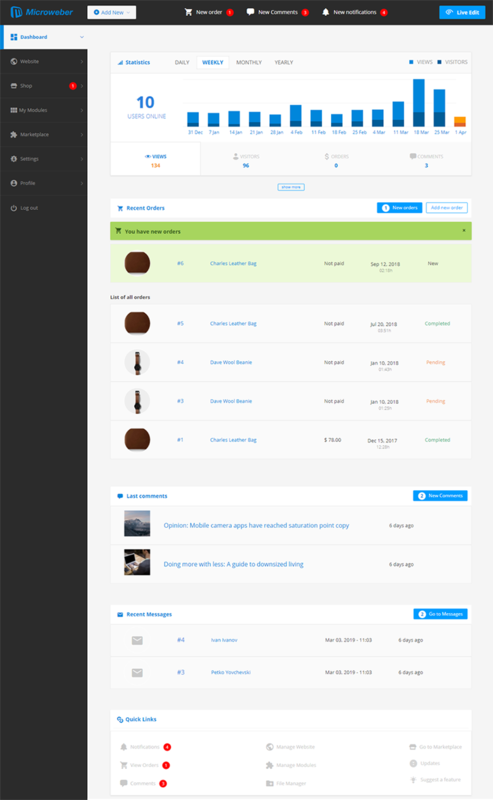 You can track more like - views, visitors, orders, and comments for the current period. This happens through the statistics module. For additional data, use the blue button called “show more” where more data about your site visitors will be loaded. 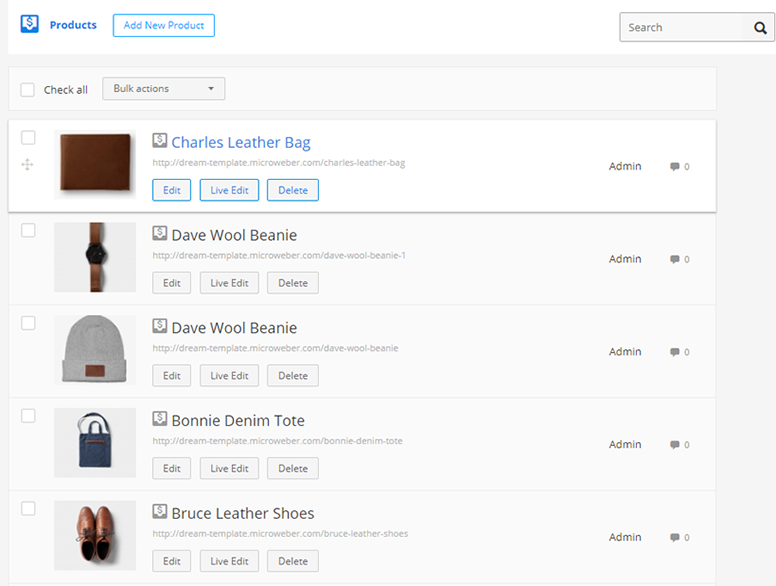 If you created and maintain an online store, you can track orders on the dashboard. 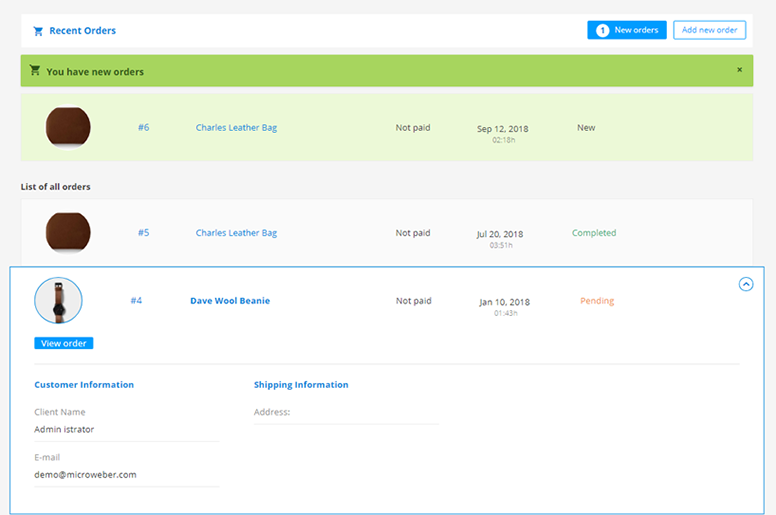 Recent Orders also have a quick view that makes the review easier. 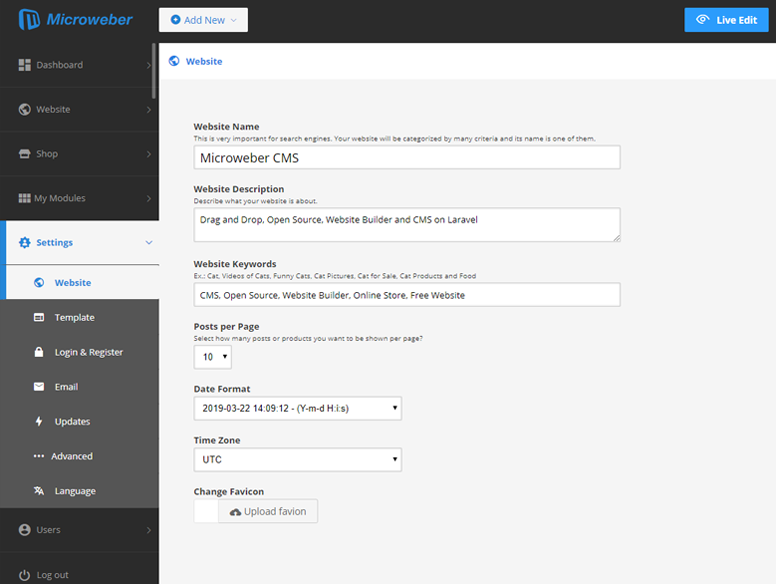 The Microweber Admin panel is optimized for mobile devices. By clicking on the order you will see a quick review. The last order you have not seen is shown in green. 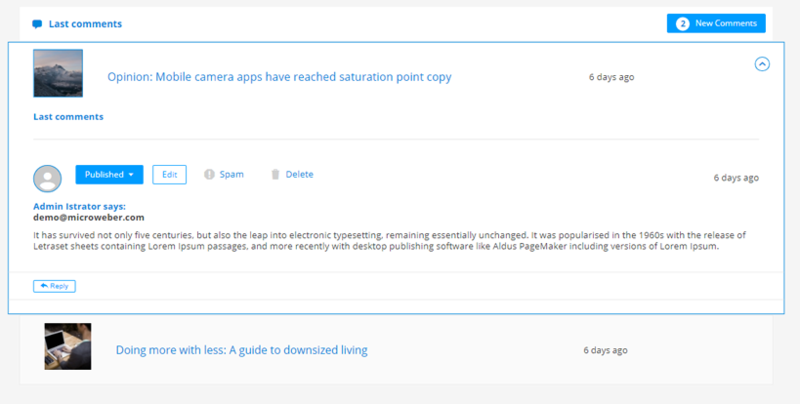 You can follow the last comments of your articles on your Dashboard. In addition to having a quick view, you can also give Reply to the comment as well as moderate its status as a public, unpublish, spam, and delete it. A very useful feature that we've brought to the Dashboard is to read your e-mail. This is useful because every time you log in to an admin panel you can find out or read if you have a new e-mail. This way you are sure that you do not miss anything in your mail. 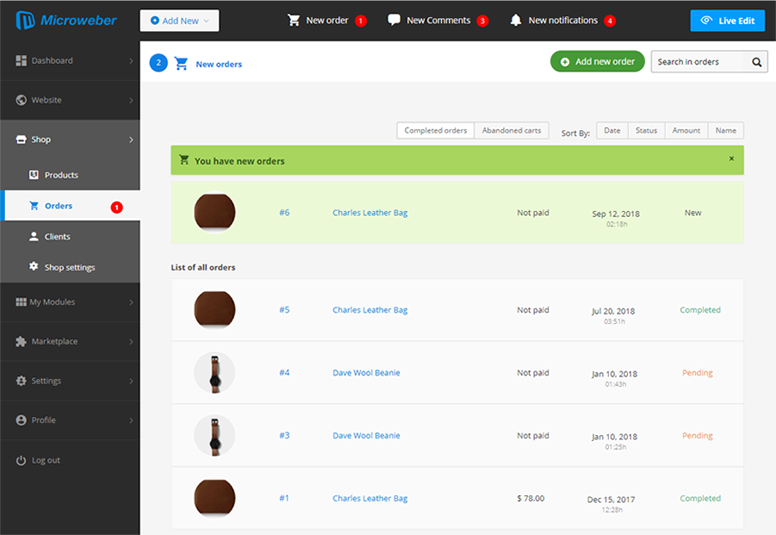 From quick links, you can keep track of new orders, comments, updates. There is also your file manager where you upload files to the server without the need for additional FTP access. Last but not least, from quick links you manage the latest system updates. Updates gratify that you are using the most secure and working version. When you have a new notification, it appears in a red circle next to the corresponding function. The web site menu is probably the easiest way to manage your site. the overall view you have on the structure and the individual elements gives you the peace of mind to create and manage the content of your website. In short, you track notifications, manage the structure of your website from the website tree. Navigate in the easiest way between individual pages, categories, and products. The right side bar navigation, also called main navigation, helps you to switch between sections of your site. For example, you can navigate within the "Website" section between pages, posts, products, and categories. You also have a button to quickly add to individual sections. Depending on whether a page, post, product or category is selected, different content is loaded in the central container. as shown in the example below, choosing the Products page in the center will load all products from my online store. 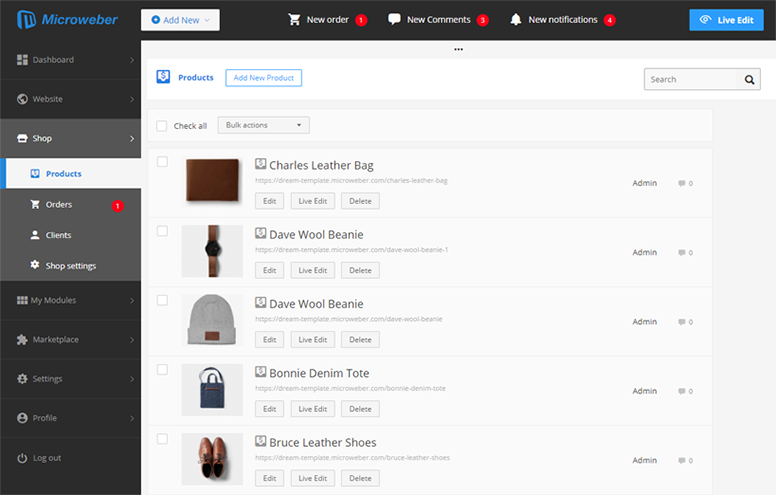 The top navigation contains a button to add new pages, posts, categories and products. Also in its center are notifications for new orders, new comments or edits. On the right is the Live Edit button, which provides the transition to the live editing. 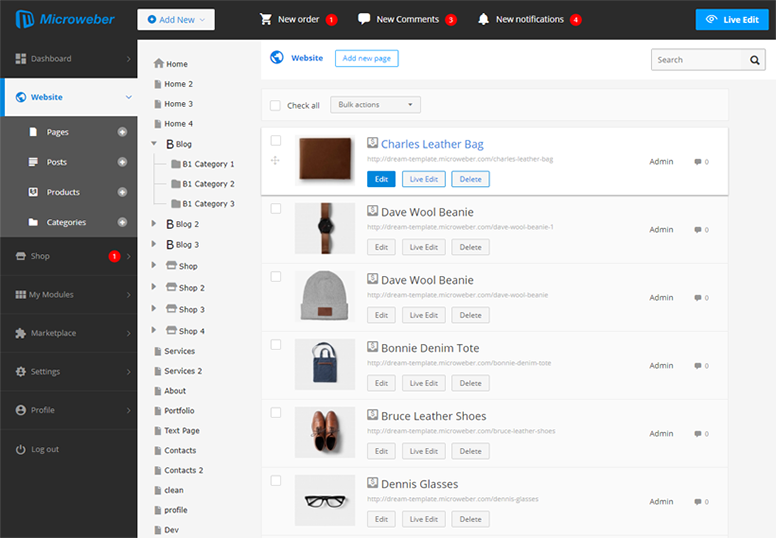 In the Shop section you are adding products, tracks orders, and customers. There are also the settings of your online shop are here. Here is of how your products list looks like. When you have a new order, your system will notify you by showing you a red notification with a number of new orders to pay attention to. 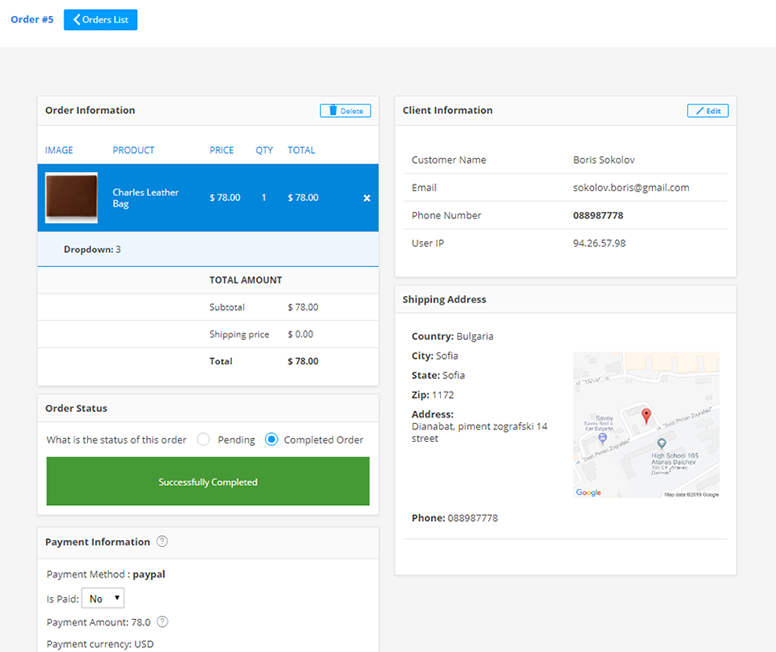 The list of your orders has both a quick order overview and a full internal page with detailed information about the order the customer has done. On this page of the order, you have a quick button to the customer profile. Client Information with details and Shipping Address. In the client menu, you will see a list of customers that you can watch and moderate. Every client profile is created automatically he made an order from your online sales store. In addition to customer information, you have access to all of the orders he has made. Here is how a list of customers looks like in your Shop section. 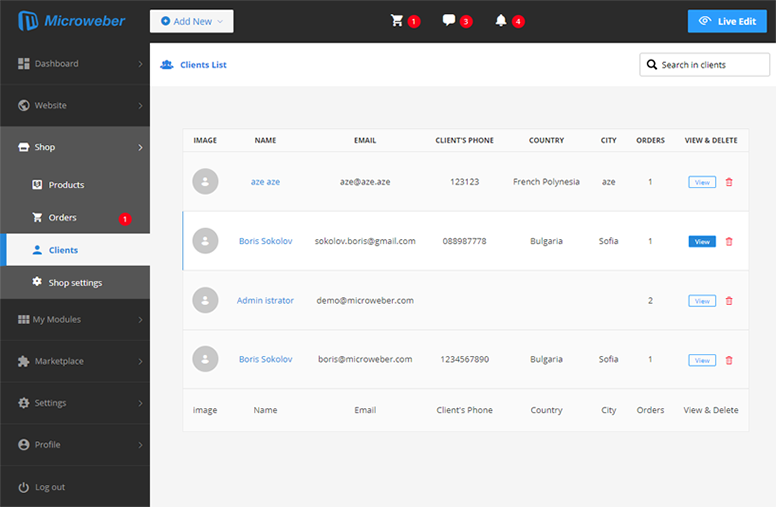 This is the client information inner page, where you can see client information and track client orders. Also, you are available to edit the client information in case the data is wrong or not missing. In the Shop settings menu, you can make all the important settings for your online st.ore. From here you can setup your payment methods, general shop settings, shipping, taxes, orders email, Invoicing and other shop settings. To have a successful online store and accept online payments, the first thing you need to do is set up your pending method. You can do this by selecting from the list of integrated payment providers at Microweber. Here is the full list for now. We are working in a direction to make it even more and provide you more choices. Till now we have integrate nine ways allows your customers to make payments. Those are - Paypal, Paypal Pro, Pay on delivery, Authorize.net, Stripe payment, Mollie payment, VoguePay payment, and Payza payment. 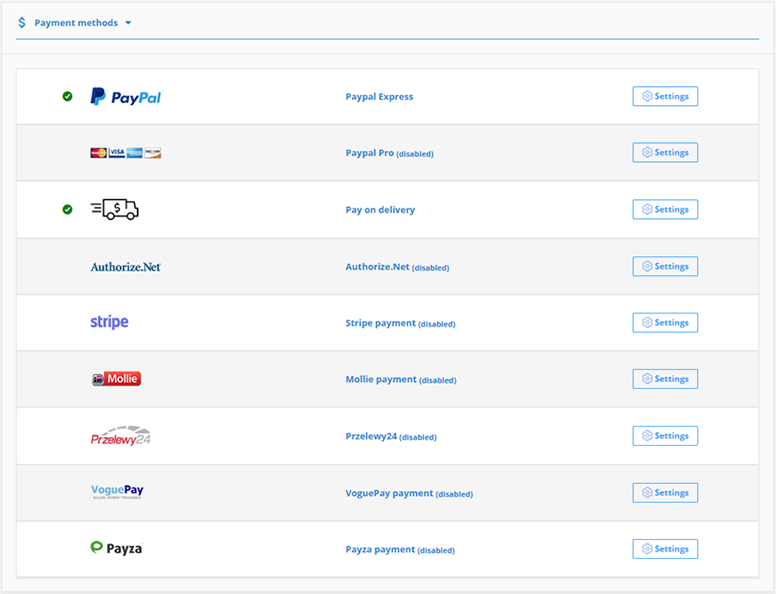 If you want to allow your clients to pay with Paypal, for example, you can setup it clicking on the settings button. And then the pop-up will upper like this one, where you can make the settings and connect your account. The Shop Settings is the place from where you are choosing what type of currency your online shop will support. Because of the differences of each currency, you need to setup a symbol position and show decimals. Every owner of an online store wants to be able to set up delivery methods. 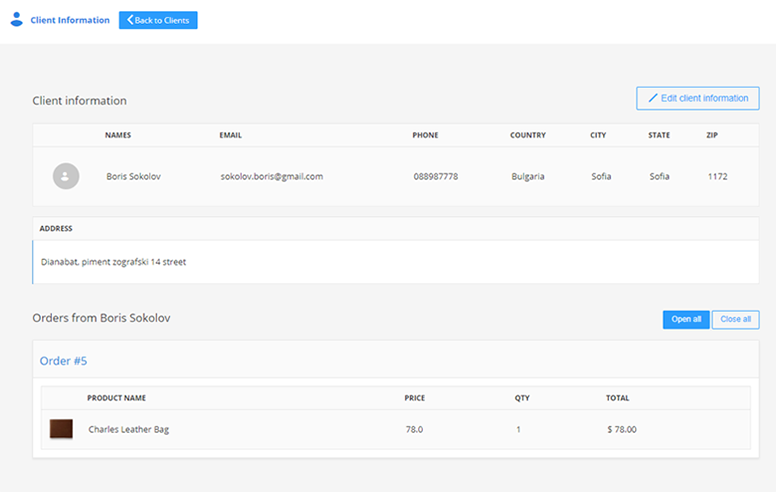 In the Shipping module, you can select a country for delivery, as well as set a shipping amount for a variety of criteria. 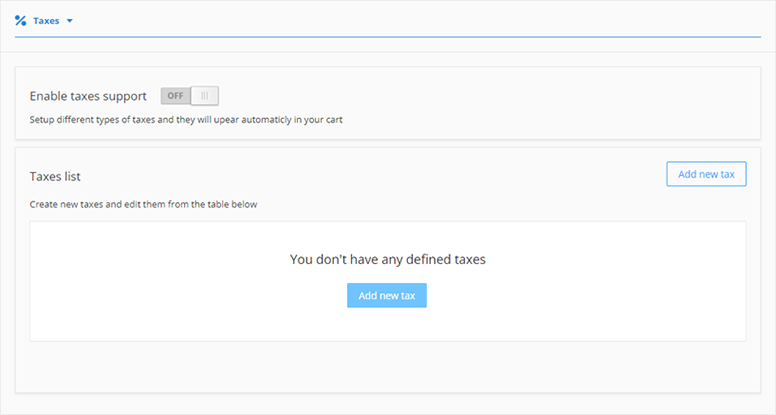 You can set Taxes, for example, for different countries or goods you sell. They will automatically be added to the purchase of your product in checkout when the payment is made. 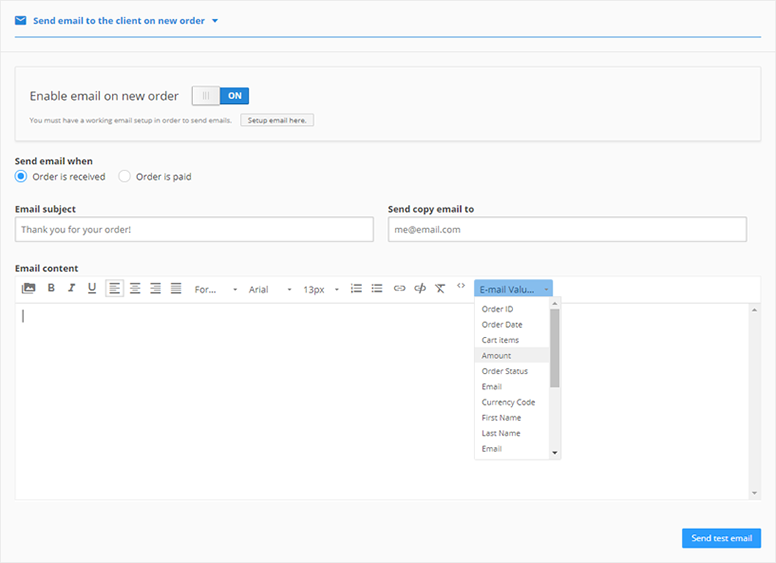 If you enable this feature linked to your online store, the system will automatically send email to each customer for each order, informing it that the order has been accepted. There are various settings that can be set for a more precise answer. In the open field, we show you the different variables you can use when writing the auto-mailer. Be sure to set up your e-mails before. There is a setup email here button (just under Enable email on new order) which takes you to the settings needed to send emails. In other shop, settings you are able to choose between, the user must agree to Terms and Conditions, Purchasing requires registration and also if you don’t need Microweber shop you can Disable it from here. In the Modules section, you will find all system modules your Microweber supports. More than 100 modules come by default with your installation. We'll mention some of them. We have simple modules like video, image, a different type of galleries, text, title, etc. 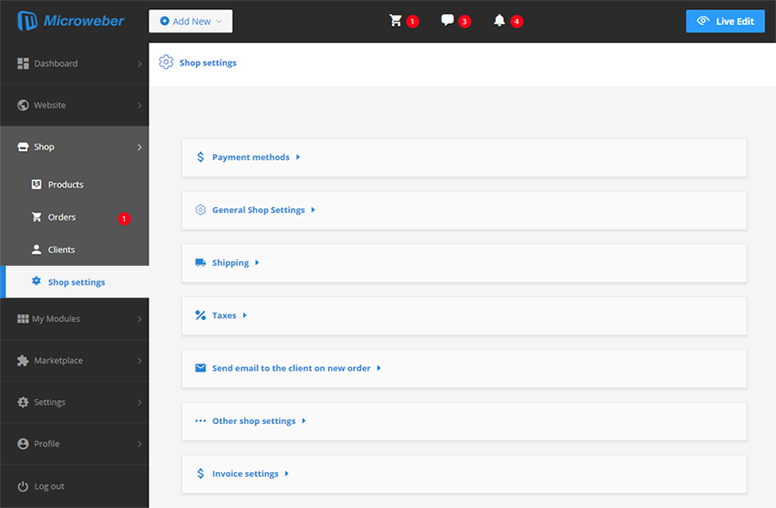 and dynamic type of modules like Post list, Product List, Menus, Slider, Comments and much more. More about the modules you can learn in the modules section of this website. The Settings section is the place where you can set settings of your website and online store. From there you are able to make a setting on Website, Templates, Login and Register, Email, Updates, Advanced and Language. Here is how this section look-like. In users section you are able to manage users. 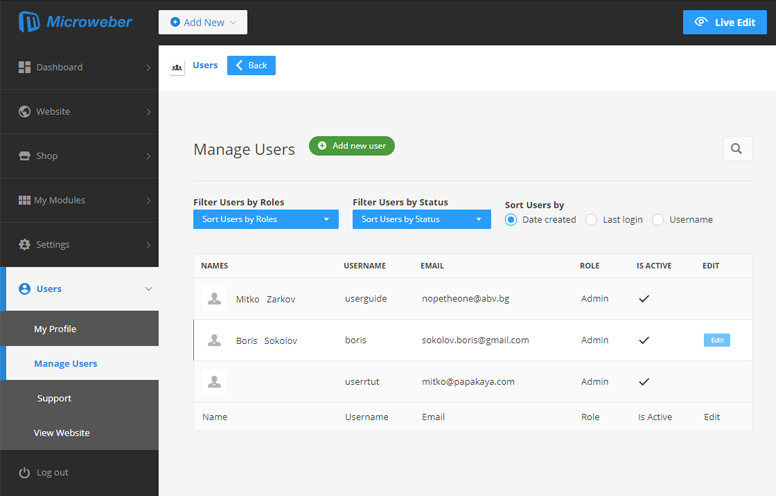 From this section you can add new users and set them a permissions. Also from user section you can make changes on your profile. 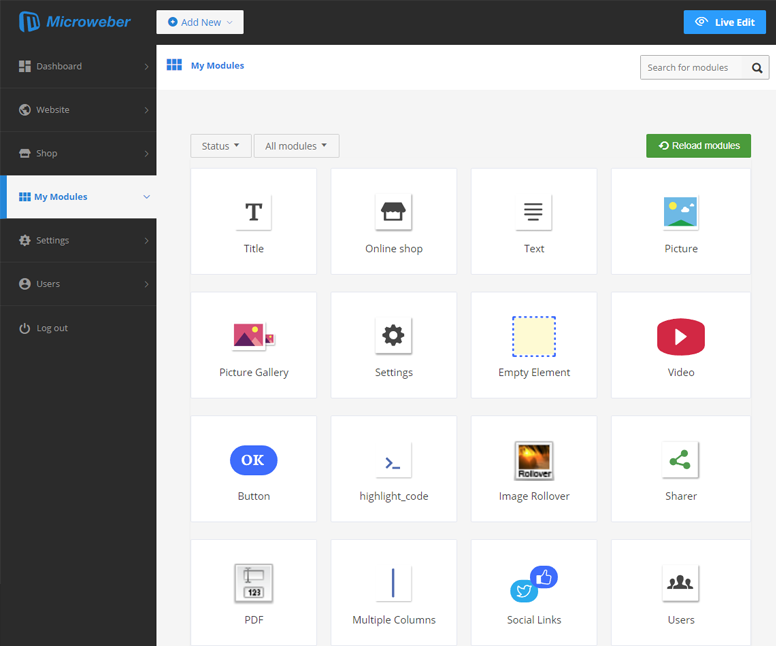 Use drag and drop to create a website or to add new features to the existing website.